What will be said or written about YOU when the time comes? What legacy will you leave behind? FTC Disclosure: This is NOT a compensated/sponsored Post, All opinions are 100% my own! I am disclosing this in accordance with the Federal Trade Commission 16 CFR, Part 255 - Guides Concerning the use of endorsements and testimonials in advertising, you may check our Giveaway and Disclosure Page for additional information regarding Ascending Butterfly Disclosure. I will leave two awesome, amazing children behind. I sure hope they do amazing things. All of these recent celebrity deaths make me very reflective on death, the meaning of life and what kind of impression we are making on people. I was so sad to see that he has passed. I hope I will be remembered as being a loving mother, wife and friend. I hope I'll leave behind a legacy of a man who sacrificed for his family and raised kids who knew they were loved and who know how to love. It was so sad to hear about David Bowie's passing. I hope his family can find comfort in the fact that he is no longer suffering. He was very talented and will be missed. Honestly I have no idea what kind of legacy I'm gonna leave behind. I try to be a caring person and a giving person and I hope people remember me for that. I was sad to hear about David Bowey. As far as a legacy goes, I don't know what I will be leaving behind but I hope it's something my family will cherish. I'm not sure I am leaving a legacy behind me. But hopefully, my children will remember me with love. It saddens me that another great artist has passed. He was a legendary genius in his craft. I guess when I leave this life, the only legacy I can leave behind is that we should fight for what is right, even if it will entail a lot of sacrifice. This is an interesting question to spend a moment thinking over. It seems like the older I get the more often I have occasion to consider such things. I have no idea what will be written about me but David Bowies death certainly gave pause for thought. After just releasing his last album. A life well lived. David Bowie fan here too. I love that quote. His death shocked me. It is really true that what we do in this lifetime will resonate to eternity. I hope I will leave a legacy of helping others and making people feel better about themselves and happier in my presence. That is a good question. So many of us live day to day and allow very non-important things symbolize our lives like social statuses and wealth. I hope that I am remembered for being a humanitarian who spread hope and love to the world. I think my kids are going to laugh about all the goofy stuff I've said and done. You know what? I'm fine with that! I remember when my daughter was born I wrote in a small book that I hope she new that I was understanding and felt she could tell me anything and I felt that would be enough to stake my claim. Now i'm wondering and I hope that I touched some ones and that I made it better !!! 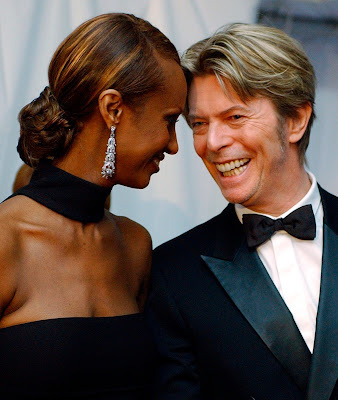 I was so sad to hear about the passing of David Bowie. I grew up listening to his music and watching my favorite movie Labyrinth. Honestly i never knew him but i think he is an awesome man. David BOwie is such a great loss in the music industry. Even my kids knows them from the movie's theme song. I grew up in the 80s and I love David Bowie. This is sad news. This is a great post! I love thinking about leaving behind a legacy of sorts, my own little success story! I still can't believe he's gone!! RIP David Bowie. I hope to leave a legacy in my daughter. I hope she goes on to do better things because I taught her everything I know. I enjoyed his music and was sorry to hear about his illness and passing too. 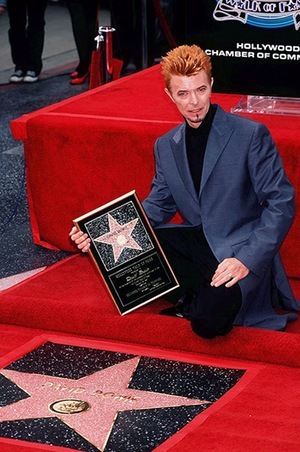 I saw David Bowie around same age, however this was in the 2000s. I am so glad I got to see him before he passed. What a legend. Family legacies are a perfect way to leave beautiful messages to family! I hope to have one done for my children some day too! It's so remarkable the impact he had on so many. I hope to leave behind a legacy of love and service. I want my family and friends to remember I worked to make the world a better place. When I think David Bowie, I think Labyrinth- that was my favorite movie when I was a kid. I hope that my kids will remember me with love. I enjoyed his music and was sad to hear he passed away. Love what this person shared. Maybe someday I will write my own little legacy. Hopefully I have a lot to tell. He was such a talented artist, he will be missed by many. It's definitely something to think about and makes you want to get right with whatever higher power you believe in. Mr. Bowie touched a lot of lives and can't be replaced in the entertainment world.